Francis M. Jackson, social security disability and Veterans benefits attorney, was recently seen on NBC, CBS, ABC and FOX network affiliates around the country as an expert guest on “The Consumer’s Advocate” TV show with host Ben Glass. South Portland, ME – January 16, 2012 – Francis M. “Jack” Jackson, founding partner of Jackson & MacNichol Attorneys at Law, was recently an expert guest on The Consumer’s Advocate television show. Ben Glass, noted attorney and legal expert, hosts the show that was recently featured on NBC, CBS, ABC and FOX network affiliates around the country. 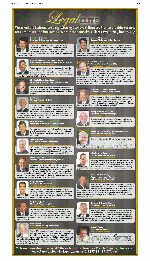 “The Consumer’s Advocate” features an interview format, with Ben Glass interviewing experts on consumer driven topics from across the country. Mr. Jackson was one of Mr. Glass’ recent guests, discussing his expertise in Veterans benefits and social security disability benefits and how his practice allows him to make a significant difference in the lives of people facing difficulties. Jack has practiced law for more than 30 years, with a focus in the disability area. 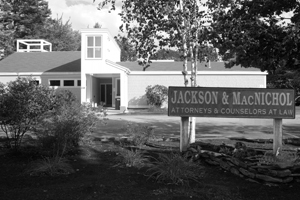 Before launching Jackson & MacNichol, Jack practiced general civil and criminal litigation, including employee benefits and personal injury cases. After he had established his Social Security disability practice, a change in federal legislation allowed Jack to expand the firm’s practice areas to include representation of veterans seeking disability benefits. In addition to representing clients before the Veterans’ Administration, Jack has pursued claims before the Court of Appeals for Veterans’ Claims and the Court of Appeals for the Federal Circuit. 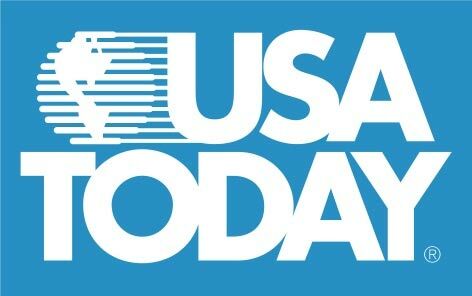 Host Ben Glass has been featured in TRIAL Magazine, USA Today, Newsweek, The Wall Street Journal, The Wall Street Journal Online and the Washington Post, among others. Ben has also authored 13 other books, including Shift Happens, Power Principles For Success and The Truth About Lawyer Advertising. His latest book, A Wolf in Sheep’s Clothing: What Your Insurance Company Doesn’t Want You To Know And Won’t Tell You Until It’s Too Late, reached best-seller status on Amazon.com. The Consumer’s Advocate Show was produced by Nick Nanton, Esq. and JW Dicks, Esq. Dicks and Nanton are also the founders and producers of the organization and TV show, America’s PremierExperts®. In September the firm was notified by the VA that the agency now agrees that a New Hampshire veteran we represent has been totally disabled by PTSD since his application for benefits in April, 1998. Mr. Jackson was asked to represent the veteran In June, 2008 after his claim had been denied by the Board of Veterans Appeals. Mr. Jackson represented him before the Court of Appeals for Veterans Claims and persuaded the VA to agree to remand the case for further development. After the case was remanded in September of 2009 for further administrative proceedings, Mr. Jackson worked with a local psychiatrist through the administrative process with the VA to prove the veteran had severe, disabling PTSD caused by his service. As a result, in September, 2011 the veteran was found 100% disabled back to 1998 and awarded over $370,000 in past due benefits! On September 26th and again on September 27th, the federal district court for the District of Maine notified us that we had won cases for two of our Maine clients. In each case we persuaded Magistrate Judge Rich to find that the Social Security administrative law judge had made such a serious error that the case must be send back for an entire new hearing, giving both of our clients another opportunity to prove that they are entitled to disability benefits. On September 20, 2011 Mr. Jackson and Mr. O’Brien will hold another of their highly regarded seminars on Social Security disability. Click here to see the details (program as pdf file) of the seminar including time, place, content and eligibility for continuing legal education credits. To sign up with the NBI seminar, click on this link to their site. Today Judge Dennis Saylor, IV, of the United States District Court for the District of Massachusetts filed a 26 page opinion holding that the firm’s client had been incorrectly denied benefits by the Social Security Administration. He granted to the motion filed by Jackson & MacNichol to reverse the unfavorable decision, denied the government’s motion to affirm the decision and remanded the case, ordering a complete new hearing in Worcester, Massachusetts, allowing a new opportunity for her to receive her benefits. On August 3, 2011 Judge William Sessions of the United States District Court for the District of Vermont in Burlington, filed a 24 page decision holding that the firm’s client had been incorrectly denied benefits by the Social Security Administration. He granted to the motion filed by Jackson & MacNichol to reverse the unfavorable decision and denied the government’s motion to affirm the decision. He remanded the case for a new hearing in St. Johnsbury, Vermont, and a new opportunity for him to receive his benefits. The VA gave up on its efforts to uphold the Board of Veterans Appeals decision in January, 2011 denying Mr. Lee benefits for aggravation of his congenital heart condition while he was in the service. The attorney representing the Secretary agreed to a joint motion to remand the case for a full new hearing before the Board at which Mr. Lee can offer additional evidence to prove his claim and today the Court of Appeals for Veterans Claims approved that June 18th motion, remanding the case. The Board of Veterans Appeals today notified Jackson & MacNichol that they had granted benefits in the case of Ethel Brown. 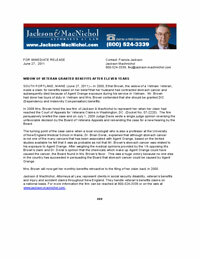 [Click here to download press release as pdf] Mrs. Brown had been pursuing her claim since 2000. In 2008 after several denials by the VA Mrs. Brown hired Jackson & MacNichol to represent her. The firm presented her case before the Court of Appeals for Veterans Claims in Washington, D.C. in Docket No. 07-2220. After reviewing the briefs and considering the respective arguments from both sides the Hon. Robert Davis, a judge from the veterans court, wrote an opinion holding that the Department of Veterans Affairs had not properly judged Ms. Brown’s case. He ordered the case sent back to the Board of Veterans Affairs for further consideration. Mr. Brown had been exposed to Agent Orange during his service in Vietnam. On remand the firm developed the case further and obtained an opinion from a cancer specialist that Mr. Brown’s exposure to the chemicals that make up Agent Orange could have caused his stomach cancer. After reviewing the case anew and considering all the medical evidence, including the new opinion, the Board of Veterans Appeals found in Ms. Brown’s favor, deciding that her husband’s death from stomach cancer could be related to his exposure to Agent Orange during service. As a result, Ms. Brown will now be eligible for benefits going all the way back to when she filed her claim in the year 2000. This appears to the first time th e Board has ever found that stomach cancer could be caused by exposure to Agent Orange! Today Mr. Jackson gave an extended seminar on Social Security and SSI benefits to the Maine Welfare Directors Association at their annual meeting in Bath, Maine. He discussed how one become eligible for these benefits, the differences between them and some of the many pitfalls that must be avoided in order for clients to get the benefits that they deserve. He also briefly discussed the relationship of disability benefits from the Social Security Administration with those from the Department of Veterans Affairs. Today Judge Kasold, the Chief Judge of the Court of Appeals for Veterans Claims, rejected the Secretary’s arguments on behalf of the Board of Veterans Appeals and issued an opinion remanding the case of Octave Raymond to the Board for a complete new hearing on his claim for an earlier effective date for his unemployability claim. The Judge agreed with the brief filed on behalf of Mr. Raymond by Jackson & MacNichol arguing that the VA had ignored the existing medical evidence that he could not work and had failed to obtain a specific medical examination on the issue of whether he could work during the relevant time period. Judge Schoelen, of the Court of Appeals for Veterans Claims, issued an opinion today remanding the case of Paul Cole to the Board of Veterans Appeals for an entirely new hearing on his claim for service connection. The Judge agreed with the arguments in the brief filed on behalf of Mr. Cole by Jackson & MacNichol arguing that the VA had improperly ignored the evidence from Mr. Cole and his mother in violation of the cases from the Federal Circuit. Our BIG news for 2010 is our move. In early 2010 we were fortunate enough to be able to buy a new building at 238 Western Avenue, South Portland, Maine. From 1998 to 2010 we have practiced from a traditional brick building in downtown Portland, Maine. From that location we have served our clients throughout New England, doing hearings in every New England state (Maine, Massachusetts, New Hampshire, Vermont, Rhode Island and Connecticut). At the end of June the renovations were largely complete and we were able to move into our new space . After months of being severely overcrowded, it has been a great relief to have separate offices for everyone with plenty of work space. We even have extra space for future expansion! 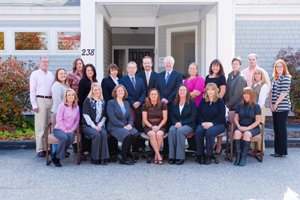 Although we have a new physical and mailing address 238 Western Avenue, South Portland, Maine 04106, our phone numbers remain the same – (207) 772-9000, (800) 524-3339. Our fax number also reremains the same (207) 772-3312.